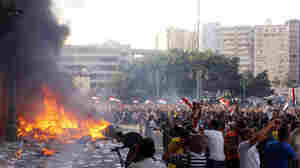 June 29, 2013  Demonstrations over the one-year anniversary of Mohamed Morsi's presidency in Egypt turned violent this week. One American has been killed. NPR's Soraya Sarhaddi Nelson joins host Lynn Neary with an update. 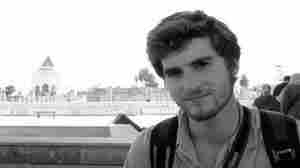 June 29, 2013  Andrew Pochter, 21, was from Chevy Chase, Md. He was in Egypt to teach English to children. It appears he was attacked on Friday while watching an anti-government protest in Alexandria. June 29, 2013  As the civil war continues, a new study says Syria's health care system is near collapse. Outbreaks of disease are on the rise in the country, and refugees sheltered beyond the border are also at great risk. 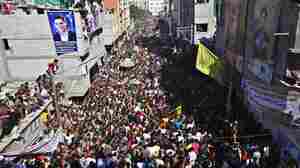 June 28, 2013  One of the people killed in Friday's clashes is an American citizen, Egyptian security officials say. 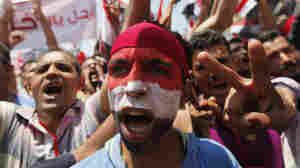 Protests against President Mohammed Morsi and the Muslim Brotherhood have been building all week. 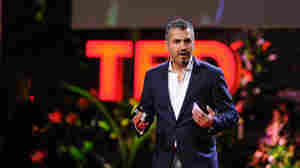 Maajid Nawaz: How Does An Islamist Extremist Change His Mind? June 28, 2013  For more than a decade, Maajid Nawaz recruited young Muslims to an extreme Islamist group. 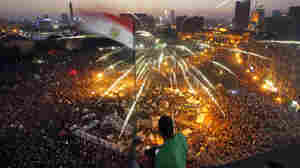 But while serving time in an Egyptian prison, he went through a complete ideological transformation. He left the group, his friends, his marriage for a new life as a democracy advocate. How Does An Islamist Extremist Change His Mind? June 27, 2013  The conflict in Syria rages on, the United States' relationship with Iran remains strained, and China is taking hold as an emerging superpower. As part of TOTN's "Looking Ahead" series, NPR commentator Ted Koppel looks to the future of international relations. June 26, 2013  Pakistan's being battered by a fresh wave of attacks by the Taliban and their associates. Recently militants have killed foreign tourists, a tribal peace committee chief, policemen and soldiers. Many Pakistanis feel anger and frustration over the unrelenting violence in their country. But in the Hindu Kush mountains, people dream of peace. June 26, 2013  It's happened across the Middle East — and now it's happening in Jordan. The country's government has cracked down on news and other Internet sites. A new law requires those sites to be registered with the government and have a member of Jordan's press council on staff. Some are calling it another form of censorship. 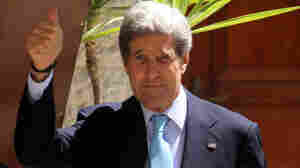 June 25, 2013  Secretary of State John Kerry held a press conference Tuesday with the Saudi foreign minister. Prince Saud al-Faisal said his country cannot ignore Iran and Hezbollah's support of Assad's regime. NPR foreign correspondent Deb Amos explains Saudi Arabia's role in Syria.